Last night, the people who were among the select group of writers to receive review units of the new iPhone 6 and iPhone 6 Plus were finally allowed to release their hands on reviews of the new devices. Every year, I find this night a little overwhelming as I try to read and digest the opinions of a catalog of people who I trust, and, in some cases, revere, for their opinions on this stuff. This is kind of hilarious in that every previous year at this point I’ve already ordered my device. This year, however, more than any other, I was reading these reviews hoping that I haven’t made the wrong decision in which device I ordered. Really for the first time in the iPhone’s history, there are two “top of the line” devices to choose from. Did I get it right? I ordered an iPhone 6 Plus at 3:40 am ET last Friday, after 4o frustrating minutes of trying to order a phone while simultaneously reloading Twitter to see if others had been successful. My reasoning behind choosing the iPhone 6 Plus was that I wanted the extra battery life, and that, given how much I value the pictures I take with the device, that the camera with optical stabilization would be something that I would want. I had printed out the PDF of the devices, and cut them out. It did nag at me a little that the 6 Plus was the same size as my (work provided) Samsung Galaxy Note 3. When my order went through, the app informed me that my device would be shipping the first week in October. Unacceptable, but I went back to bed anyway. The next morning, I found that there were iPhone 6, Space Gray, 128 Gb still available for store pickup at two of my local Apple stores with a 9/19 availability date. I cancelled my iPhone 6 Plus order, and placed one for an iPhone 6 for pick up. (I can’t pick mine up until Monday because I am out of town at a family wedding the next few days.) I’m hoping that I don’t spend much time in the next 12 months regretting that decision. My reasoning was that the iPhone 6 is still a good jump from the iPhone 5S I am using now in terms of size. We’ll see. Here’s some thoughts on a few reviews from around the web. I don’t intend this post to be a summary of the reviews, or a review of reviews, it’s mostly my reaction to each. This review made me feel a little better about my decision to go with the iPhone 6, particularly this part, where he makes his recommendations. In the rest of the review, the only section that caused a pause of iPhone 6 Plus regret was the one on battery life. The paragraph on Reachability made me even more curious about this feature, that I suspect one has to try to really understand. I liked how much time Gruber spent on how the units fit into your pocket. He covers virtually every aspect that a regular to advanced user would want to know about. I was wondering about this aspect, and he confirmed my concern. After seven years, it is hard, really hard, to get to used to the new side placement of the sleep/wake button. The rest of the review aligns where I would expect it too. If you’re looking to spend a few minutes reading a review, this is the one I would start with. He’s the man. That’s one heck of a line wrapping title. Jason does a great job of putting this set of device releases in the context of the history of iPhone releases at the beginning of the review. He seems to feel almost exactly the same way that Gruber does about the 6 Plus. That being said, the iPhone 6 Plus is unlike any iPhone before it. Not quite a phone, not yet an iPad, it’s a tweener of a device that’s going to be fantastic for some people and completely wrong for others. This review then fits into the sort of regular formula for MacWorld reviews, covering off on the various components of the phone experience. It spends some time on the new displays, and comments on the Reachability in the following manner. Reachability isn’t the most elegant concept I’ve seen Apple develop, but it does make the size of these phones more manageable when you’re using only one hand. The review minimizes the difference between the Plus camera and the regular 6 camera, except in low light conditions, and largely stays silent on the battery life matter. Given that the battery life is one of the three major differences in models, I was disappointed that MacWorld didn’t do more with it. Overall, this review didn’t invoke iPhone 6 regret in the least. On a side note, Jason Snell has left MacWorld, and has a new site, Six Colors. 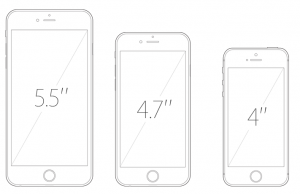 There are some interesting deeper insights about the screens and display technology in his first article on that site, iPhone 6 & iPhone 6 Plus: A tale of scale. Looking forward to seeing what else he does with his newfound freedom. First, I think that it was a curious decision to do these as two separate reviews by two different writers. The two reviews above got this right, in my opinion. A single review for both makes for better reading, and they are so similar in so many ways, that this style of review is more efficient for the reader. The iPhone 6 review does a good job of putting this phone, and it’s size, in the context of the larger market, fairly comparing it to the Android devices that the Daring Fireballs and MacWorlds would typically not mention. This review has the nicest product photography and better screen shots than any other review I have looked at for these phones as well. It talks more about iOS 8 than the previous two as well, mentioning Spotlight for instance. I’m particularly smitten with Spotlight, which now includes the App Store, web, local, and other search results as you type. It’s become my go-to way to find anything; it’s much faster than opening Safari or dealing with Siri, which can be fantastically useful but remains hard of hearing. For me, the addition of the app store to Spotlight closes a Radar that I filed a very long time ago. I’ve always thought this belonged there. The iPhone 6 plus review did cause me some regret. Particularly this section on battery. Doing the iPhone 6 Plus as a separate review did allow The Verge to dive a little deeper into the software advantages of that lovely large screen. Again, some regret was felt, but not in a fatal dosage. I would be doing The Verge a disservice if I didn’t mention how well done the video reviews are. Both are excellent, and I found myself wondering why some of the other publications/sites don’t do this, as it’s way more revealing about a product like the iPhone than a written review with some screenshots. I especially enjoyed the shot of the reviewer walking by the line at the 5th Avenue Apple Store in Manhattan, walking past the people waiting in line for the iPhone 6 while talking on the iPhone 6. Funny. This one is another combo written review and video review in a single page. The written review sticks to the basics, and really steers clear of making a recommendation, as I think you would expect from a more mainstream media review. The video review is excellent, and seeing the phones in her hands was great. 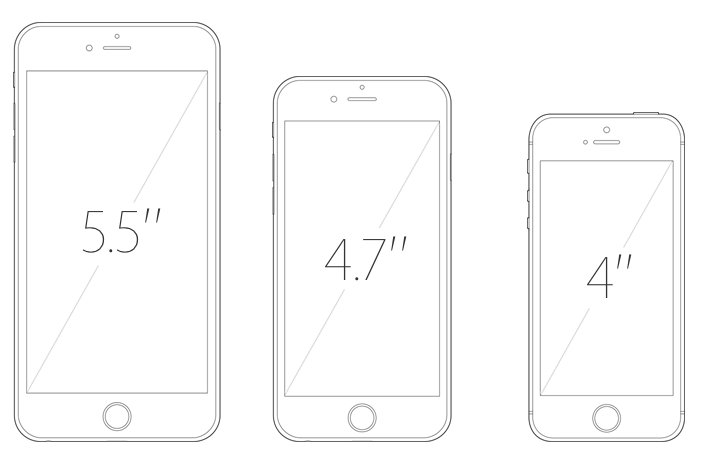 It made me realize just how huge the iPhone 6 Plus is going to be for people with smaller hands. (Which I don’t have.) The video review has a lot more flavor and opinion to it, and I wish that had come through more in the written review. Neither review impacted my possible buyer’s remorse.